Custom Designed for a teenage girl who liked owls. 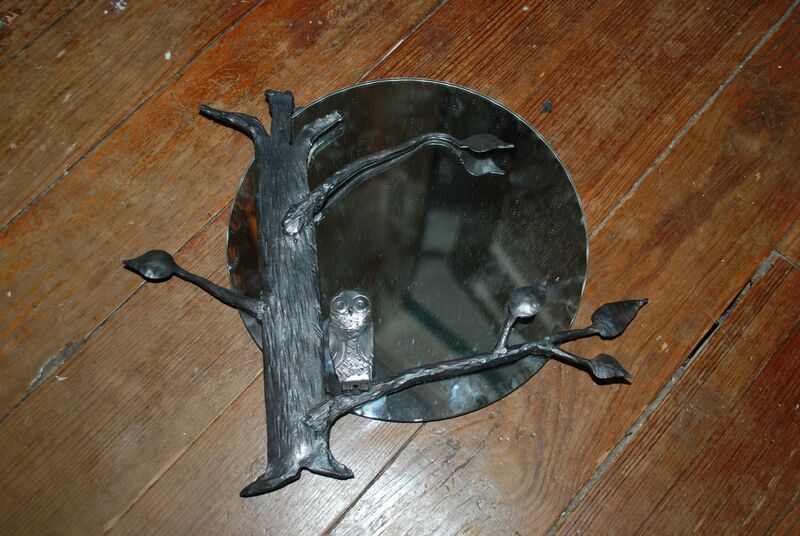 The mirror represents the moon. The owl is forged stainless steel, and the tree is black iron.